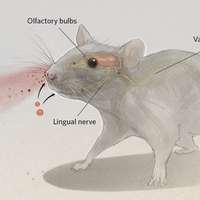 Inadequate poultry immunization programs may cause higher mutations rates in the bird flu virus, rendering the vaccine ineffective and increasing the threat of cross-species transmission. The H5N1 Type A influenza, commonly known as bird flu, is mutating faster in countries that have been implementing wide-scale, but incomplete, vaccinations of poultry, according to a report published online in Vaccine (October 12). The genetic changes accrued by the viruses rendered the vaccinations ineffective, and increased the risk that the virus could jump to humans. That spotty vaccination campaigns seem "to favor viral mutation, has been suspected for a long time, but this is the first study which is providing hard evidence for it," Marisa Peyre, a researcher with the French Agricultural Research Center for International Development who was not involved in the research, said in an email. Bird flu has plagued poultry farmers for years, wiping out entire stocks, and occasionally jumping to the farmers themselves. In 2006, for example, the disease caused 79 human deaths worldwide. That same year, Egypt implemented wide-scale immunization programs against the virus, treating millions of farmed poultry with an H5N1 vaccine. Recent news, however, suggested that such programs were failing, with regular reports of bird and human infections. 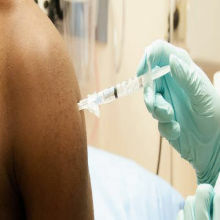 But it was unclear whether the failure was "caused by the vaccine cold-chain being broken”—thus rendering the vaccine ineffective—or if the virus was changing in a way that allowed it to infect even immunized animals, said first author Giovanni Cattoli, a veterinary scientist at the Istituto Zooprofilattico Sperimentale delle Venezie in Italy. So Cattoli and colleagues, sequenced flu samples collected between 2006 and 2010 in countries that had vaccinated their poultry (Egypt and Indonesia), and compared the sequences to samples from countries that had no immunization programs in place (Nigeria, Turkey, Thailand). The results showed that the viruses circulating in countries with mass vaccination efforts were evolving faster, and had become genetically distinct from the virus that the vaccine was designed to combat. 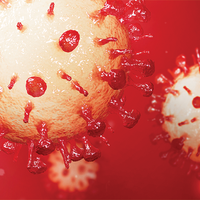 "There are sharp increases in genetic diversity of the virus," said Cattoli. Cattoli suspects that the problem stems from the way the vaccine was administered. Just as antibiotic-resistant strains of bacteria arise when antibiotics are not taken properly, evolution rates were likely to be higher in areas were the vaccination was incomplete, covering only a fraction of the chicken population. In addition, vaccination can result in partial immunity if the vaccine is left out in the sun where its components decay, or if follow-up booster shots are not administered. In such cases, the chicken may not mount a strong enough immune reaction to fight the live virus. Most likely, said Cattoli, the virus moved from an unvaccinated chicken to one that was partially immunized, to one that hadn't been infected or vaccinated at all. "All of this continuous movement among different levels of immunity is likely to drive and force the evolution of the virus," he said. Indeed, when Peyre investigated the vaccination practices in Egypt, she found that in some areas as little as 30 percent of the vaccinated bird population was protected from infection. 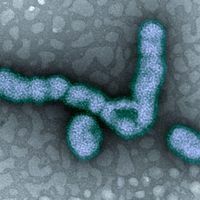 In addition to the risk this poses to the poultry industry, a faster-evolving virus increases “the threat of emergence of a novel strain which might be one day be more specific to human infection,” said Peyre. Cattoli's study, she said, "emphasizes the critical needs for improved surveillance strategies and field protocols" in these countries, which can be both labor intensive and expensive. For countries looking for a quick fix, vaccination "is not the simplest way," Catolli agreed. Although there are no easy alternatives, he said, it is clear that inadequate vaccination campaign can wreak more harm than good. Hope for Universal Flu Vax?